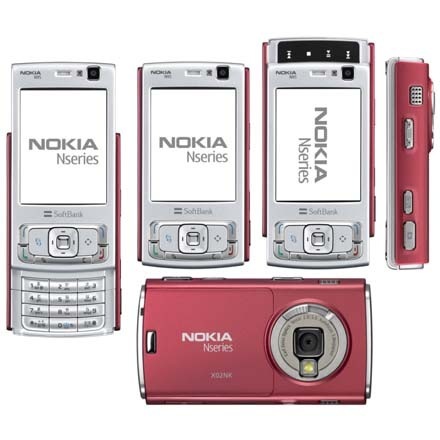 So I have a new phone, a Nokia N95-3. It’s absolutely amazing. One service I’ve been loving is Qik.com. Live, interactive streaming video from my phone to the net. People can write in questions or comments which then immediately show up on my phone. You can view my random videos at http://www.qik.com/beaupedia. In less happy technological news, my beautiful 22″ LCD monitor burned up last week, hence the lack of blog updates. I am currently working on a 15″ widescreen Acer I bought tonight at Wal-Mart, it’s so tiny! On a related note, is it terribly unethical to “rent” monitors and then return them once your real monitor is repaired, even if you despise the company? I’m tempted to do this, especially considering how snotty the Manager was with me when I asked her if I’d have any problems if the monitor was damaged, considering one corner of the box was crushed pretty badly. They had offered me a 2 year service plan on my monitor which I declined, when did Wal-Mart start offering those anyway? I haven’t shopped there in a couple years. When I asked about the crushed corner of the box for some sort of reassurance that they’d take it back if it was damaged, she said “Well, that’s why those service plans are a good idea.” in a very condescending tone. As though I need a service plan to take care of damage that happened before I purchased the product. Either way it wasn’t damaged and I have 15 days(or 30…or 45…she wasn’t sure, have I mentioned I hate Wal-Mart?) to return it. I think I’ll be alright. My monitor may still be under warranty, if not, I believe they can have it sent off for repair. We shall see.